Named by our Grandfather Paul Stober for the pond that never seemed to dry out, we are pleased to bring you 2-Row Okefenokee Pale Malt. Our Grandfather wished this swamp land would dry up so he could plant more grain, but even to this day, the pond survives. Okefenokee is a perfect base malt that can be used for multiple brewing recipes, and it also gives you a story to share with your customers. Fully Modified Plump 2-Row Kernels with a full flavor profile and color of 2.3-2.8°L. Our Okefenokee Pale is a sweet flavorful base malt perfect for a 100% grain bill. It gives a maltier characteristic with a slight biscuit-like flavor and a touch of nuttiness. When used in a SMaSH brew it will give a clean golden wort with a rich one of a kind flavor. 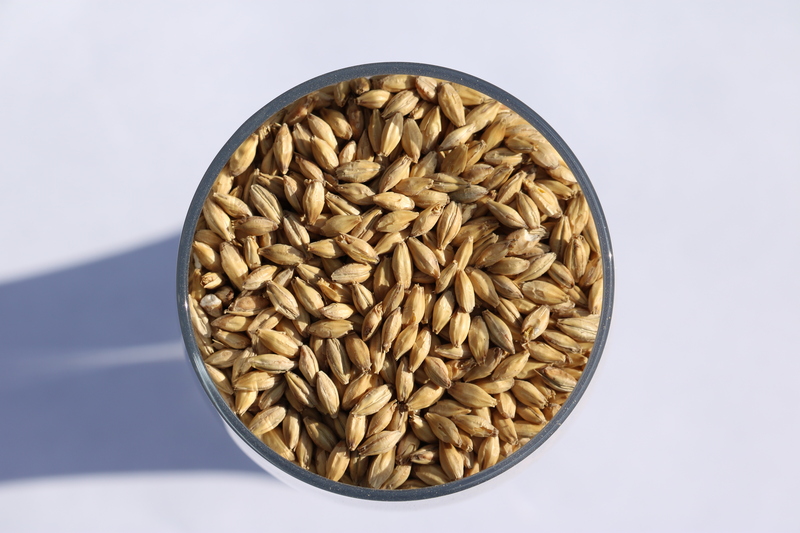 Click here for malt specifications. Our Badlands Sunset is similar to a Pilsner Malt lending a lighter flavor for your beers but a color of 2.4-2.6°L. 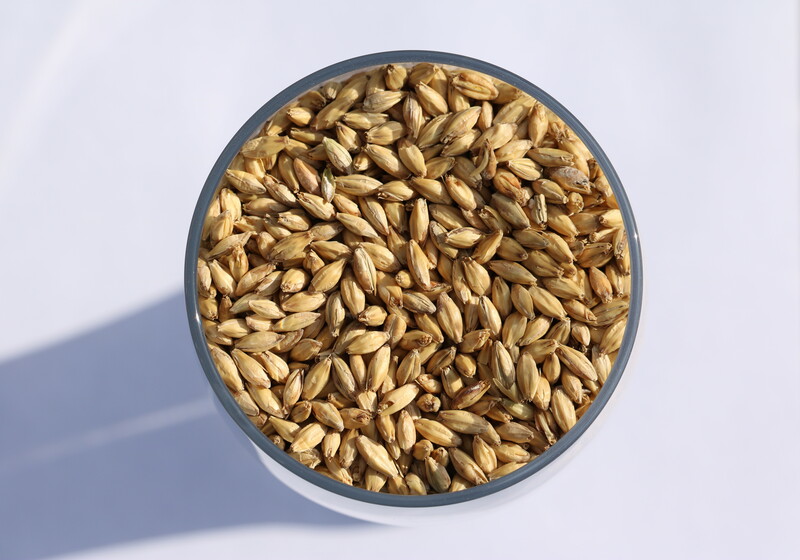 The malt is produced from high quality North Dakota grown barley and is fully modified and lightly kilned to yield a light flavor to your beer. Badlands Sunset contributes a delicate yet distinctly malty flavor and aroma with notes of honey, making it perfect for all types of beers. 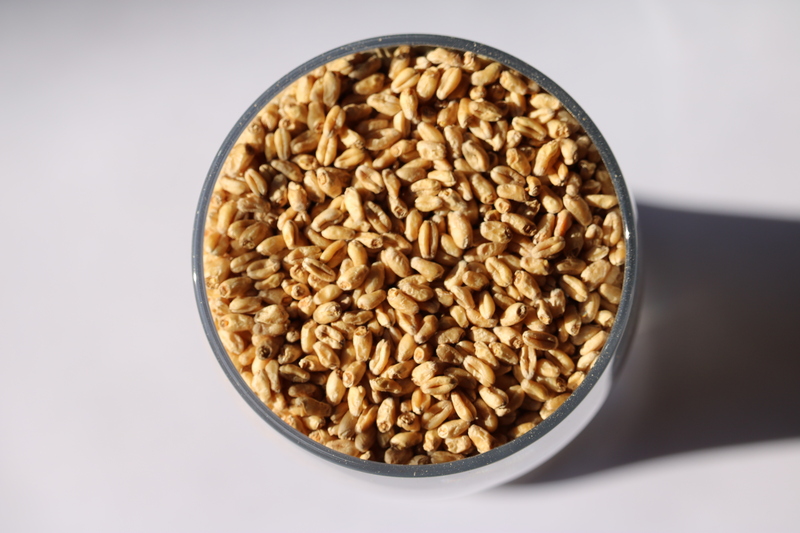 This malt is fully capable to be used in 100% of the grain bill. Dakota is a mix between a Vienna and Munich malt that offers a powerful clean malty-sweet flavor with subtle reminders of Honey, Almonds and Hazelnuts. Dakota is highly modified, and kilned at high temps which provides the one of a kind flavor. This malt has a Lovibond of 4.3° giving a rich golden touch to the wort. 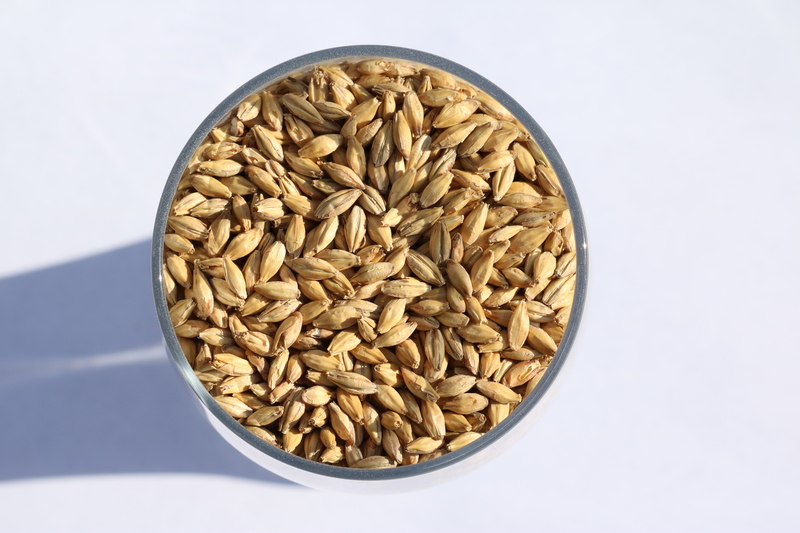 The clean crisp taste and lighter color will add a true uniqueness to any beer and can be used up to 100% of the grain bill. Denhoff Malt is Two Track Malting’s first specialty grain that will make your beer truly unique and will fill the air with a nutty, roasted, whole grain smell. When chewing the whole grain you will notice a sweet toastiness, slight caramel notes and a dark chocolate flavored finish. Denhoff has a Lovibond of 10, giving you rich golden colored wort. The aroma from the wort is bready, slightly caramel and has notes of roastiness and biscuit. When tasting the wort you get a pleasant toasty caramel flavor that is bready and has notes of honey. Denhoff can be used for up to 50% of the grain bill. Introducing Bakken, our darkest malt to date. With a color of 104 this malt completes our lineup. In the caramel/crystal category, Bakken allows you to use this specialty malt in multiple recipes. Bakken delivers a sweet malt flavor at first then transitions to a roasted malt and coffee taste. Bakken has hints of hazelnut throughout and finishes with the bitterness and flavor of dark chocolate. Two Track Malting is excited to release Astro White Wheat which is a hard white spring wheat developed for malting by Arrow K Farms. Arrow K Farms is based in southwestern North Dakota on the edge of the Badlands in Billings County. Astro White Wheat has a clean sweet malt and sweet bread dough aroma. The flavor embodies sweet wheat and soft bread dough on the tongue with a full-bodied finish. 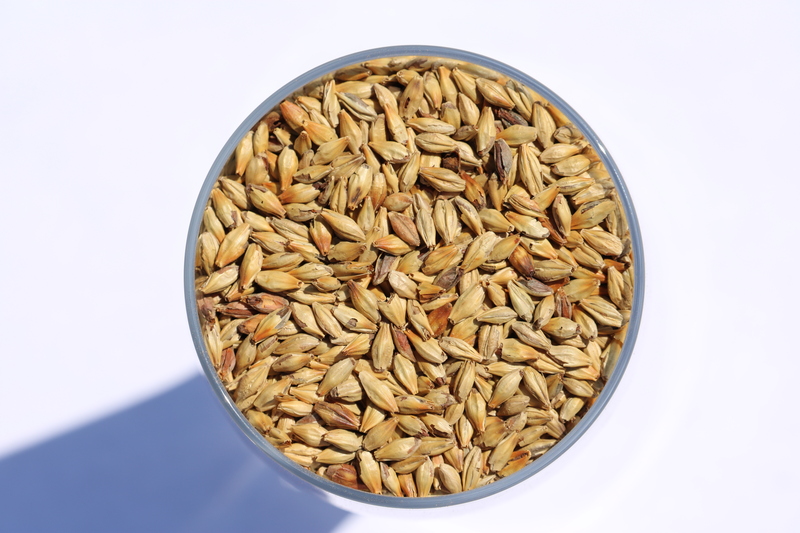 Our newly released Rye malt has a subtle grain smell with a slight spice. 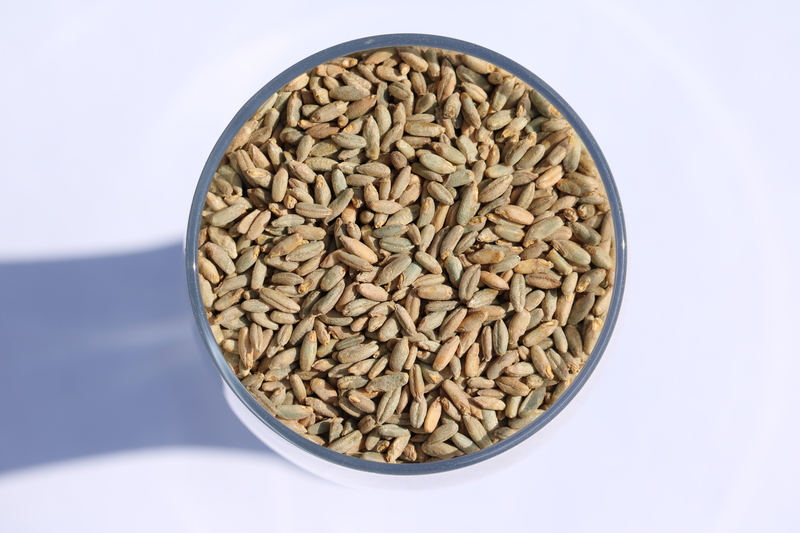 Our Rye has a sweet earthy taste upfront and spice flavor from the rye which reminds us of rye bread. We suggest the use of rice hulls when using rye malt. 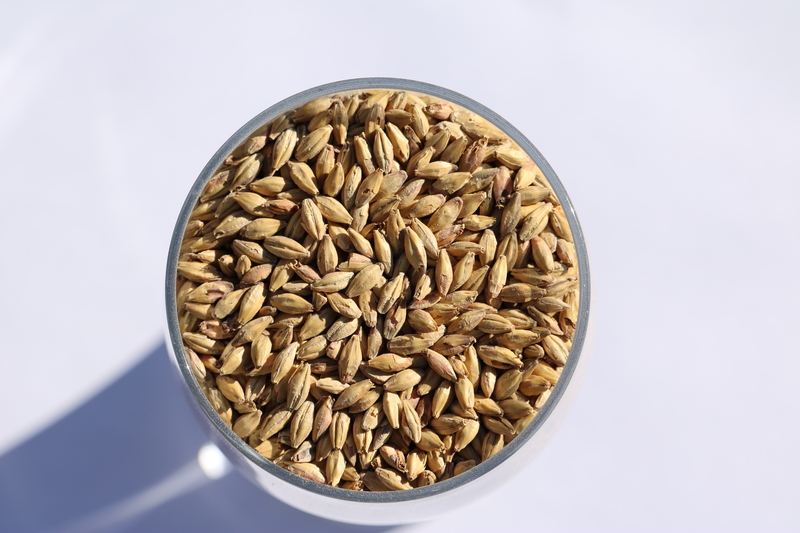 Our newest malt is designed to be a full flavor rye malt to add mouthfeel and characteristics only rye can give the brewer. Contact us to order Full Flavored American Malt Today! Our process starts every winter by determining what we will grow for the upcoming season. Once selected we plant in the spring and tend to the grain as it grows until it is ready for harvest in the fall. Once harvested, we then test to make sure it meets our stringent criteria. If it passes, we then clean and prepare the grain to be malted. Once the grain arrives at our craft malting facility it goes through the malting process. Steeping is the first stage of the malting process and begins by loading cleaned grain into a steep tank which allows the grain to be submerged. During the steeping process grain is submerged in water with the primary goal of increasing the moisture content of the grain from 12% to 42-48%. This process takes 2-3 days in which the grain is submerged, drained and repeated until the correct moisture content is achieved. Steeping starts the growth process and a visual indicator of properly steeped grain is to see the chit, or rootlets, start to emerge from the grain. Once chitting begins it is time to move the grain into the germination stage. Germination is the next stage in the malting process where chitted grain is transferred into our Germination Kiln Vessel or GKV. Germination allows for the development of malt enzymes which modify the structure of the grain’s endosperm by breaking down the cell walls and protein matrix, this process is also known as modification. The enzymes produced during germination are needed to break down the starch for the brewer or distiller during the mashing process. Germination takes 3-5 days and once the grain has reached optimal modification it is ready for the kiln. Kilning is the final step in the malting process and turns the modified grain into malt. The specific type of malt being produced will determine how long the grain is left in the kiln. The kiln is essentially a large oven which uses heat to dry out the grain. This process gives malt its flavor and color. After about 24 hours we have finished malt which is cleaned, packaged and ready to be made into your craft beer or spirits.